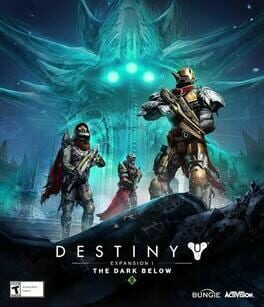 Time until Destiny: The Dark Below release day! Expand your Destiny adventure with a wealth of weapons, armor, and gear earned in new story quests and missions, three new competitive multiplayer arenas, and a new Strike and Raid. Beneath the surface of the Moon, a long-forgotten enemy stirs. Survive the true depths of the Hellmouth, and stop its dark army from invading Earth.